Some projects are fun, some are fast, some are cheap, and some are practical. The best combine all these features! 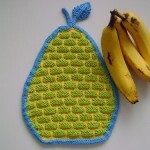 For me, dishcloths, washcloths, and tawashis (the Japanese version) fit the bill. 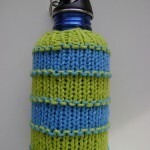 Colorful, done in a day, and made of leftover bits of yarn, they have a real practical use around the house! Thanks to these little crocheted and knitted cloths, we were able to stop using paper towels and napkins a few years ago, without spending money on pricey linens. 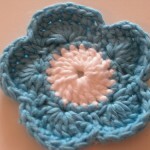 And even better, they’re a great way to learn new stitches and skills! I’ve been crocheting for the last decade, but a few years ago I decided it was time to take up knitting. Without the free time or cash to take a class, I sat down with library DVDs and the ole youtube and learned how to cast on. My first thirteen knitting projects were all dishcloths and washcloths, and they taught me everything from knitting and purling to lace stitches and cables! So without further ado… here are ten of my personal favorites in both crochet and knit – all free patterns available online! 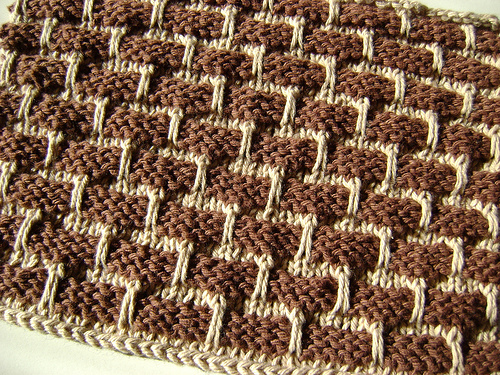 Of course, I have to start with the Basketweave Scrubby Cloth – the very first pattern I ever wrote! 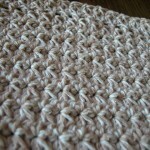 This one is a great way to get familiar with post stitches – which make for lots of texture. 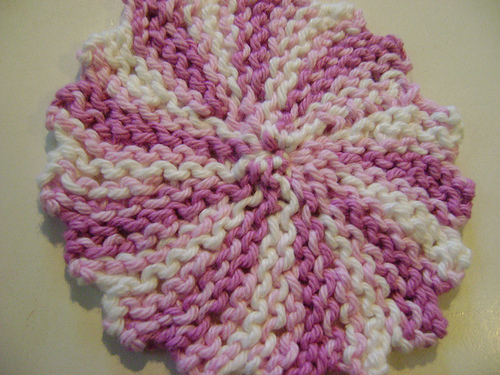 The Little Starbursts Dishcloth is a great way to learn the Trinity Stitch. 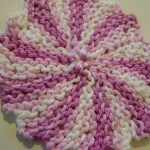 I made this one with Lily Sugar’n Cream Confectionary Colors Twists! 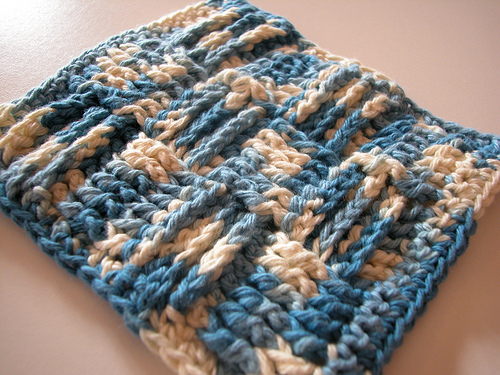 The Brick Wall Dishcloth is to crochet as the Ballband Dishcloth is to knitting (see below for that one). 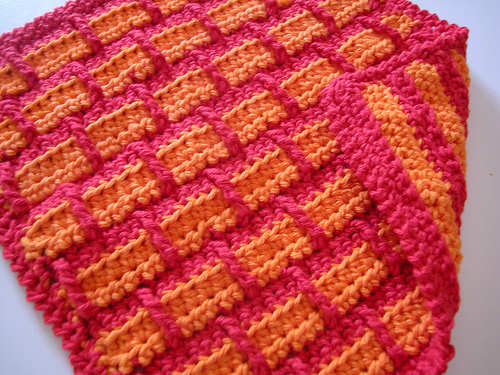 And it’s super fun to make – I love how the rows build the pattern, and it even looks great from behind. Super Simple Tawashi Flowers make great use of the truly tiny balls of leftover yarn, and with their small size they are useful in both the kitchen and the bathroom – how about making a pretty jar full of these to wash your face with instead of cotton balls? The Koinobori Tawashi is a Japanese crochet pattern, but you don’t have to read Japanese to make one! 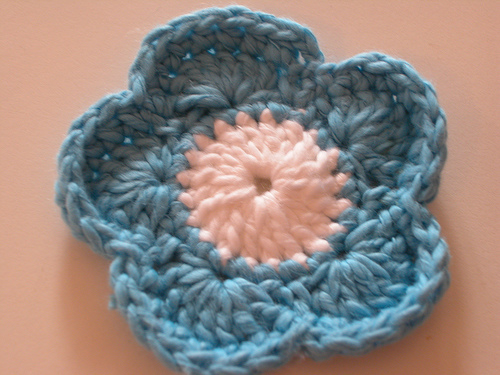 Using standardized crochet chart symbols, this pattern is understandable no matter what language you speak. Don’t be intimidated by these symbols either – they are quick to learn and once you do, a whole new world of patterns will open up to you! 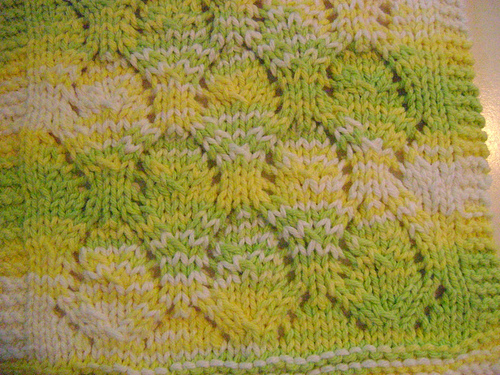 The Ballband Dishcloth is the second knitting project I ever made, and I suspect it’s one of the most popular dishcloth patterns ever written. 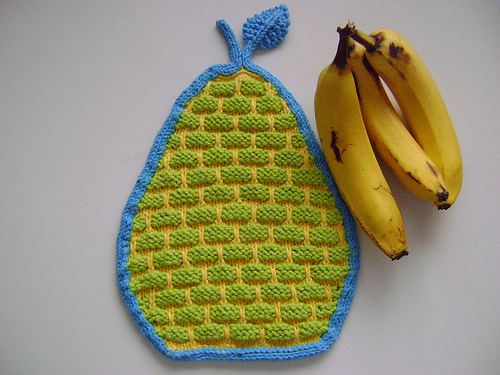 It’s a great size too – I’ve made a few that we use as napkins! The Elvish Leaves Dishcloth is a lovely way to learn lace stitches, and is sure to impress when given as a gift. 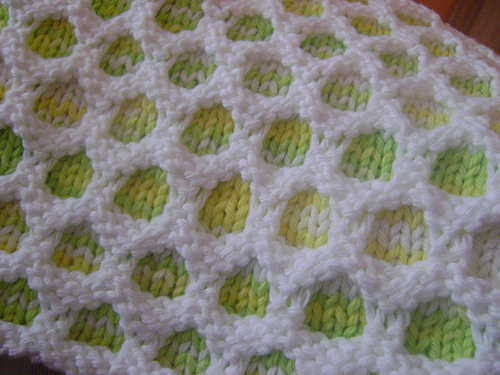 To really show off the stitches, you should probably use a solid color, but I made this one using up some stash I had. Still pretty! 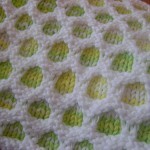 Circle Cloths feature amazing texture – talk about 3D! Easily sized up or down, I made a tiny version for my preschooler’s lunch box, and full sized versions for our home napkin drawer. 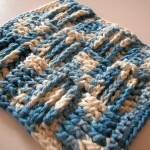 The Teeny-Weeny Garter Stitch Coaster Pattern isn’t officially a dishcloth pattern, but that’s how we use it. 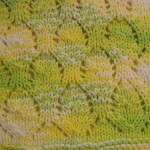 This pattern was where I learned about short rows and seaming knits. 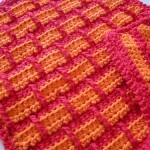 This one would also make a great face cloth! 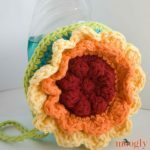 Earth Day – 10 Patterns to Save the World! 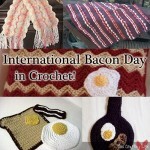 International Bacon Day in Crochet! 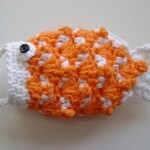 I love the fish wash cloth, but if you’re going to use it as a washcloth you might want to omit the button. Can you please help??? 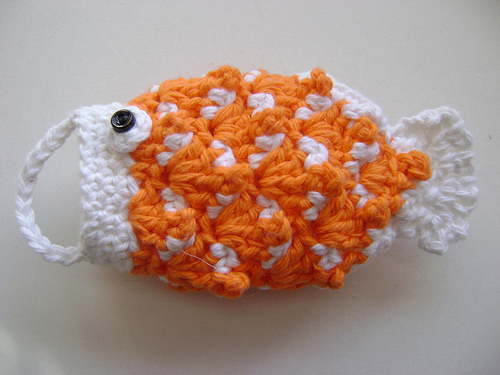 the link to the adorable Koinibori Tawashi pattern does not work!! Any ideas where to find it? Thanks! It’s up now, the fish site that is. 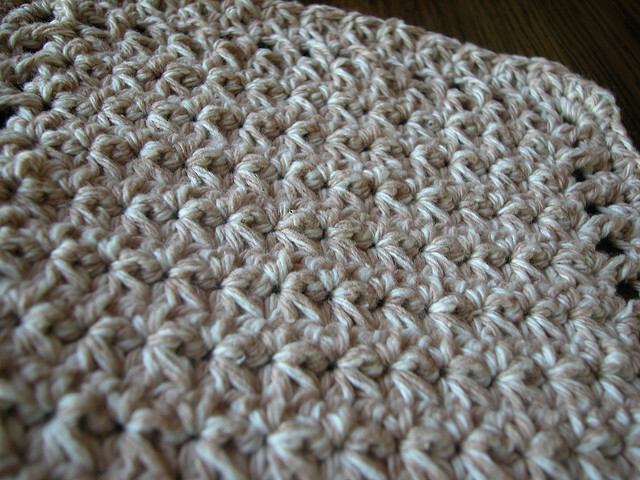 Did you crochet the first 14 rows in a tubular fashion, or did you seam it together when done? 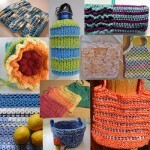 I really like the crochet patterns! Hope I can figure out the fish !! !thank you. Hi Tamara! As always, a huge THANK YOU!!! for all the beautiful and free patterns! You are amazing! 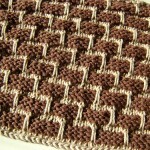 I realize that some of these pattern posts are older, but do you have the pattern for the: “Teeny-Weeny Garter Stitch Coaster Pattern”? Keep up your awesome contributions to the crafting community!